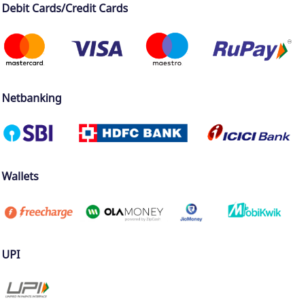 Xiaomi has been releasing revolutionary products for the budget conscious one after another with no chance of stopping in sight. 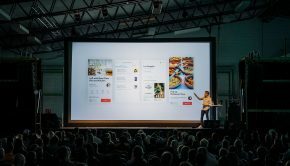 As a startup, they have been doing remarkably well when it comes to releasing cool products. 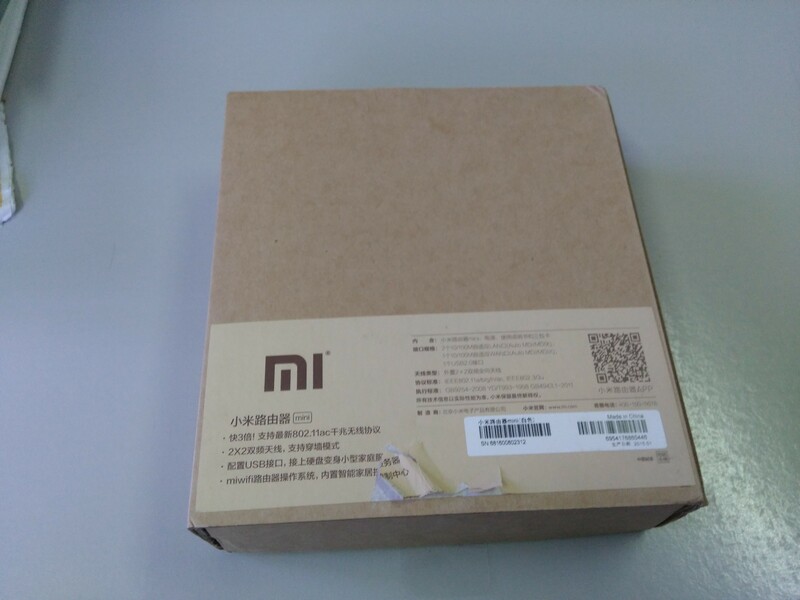 One such great product is the Xiaomi Mi Wi-Fi Mini which was released for beta testing back in June 2014. Given that the product wasn’t launched in India, I couldn’t grab one of them back then. But with Gearbest selling them with free international shipping, I was able to get one unit for myself. Hence I will review and pen down my experience with it. Now that we know what the official specs on paper are, we move on to the review. The Xiaomi Mi Wi-Fi router Mini comes enclosed in a slideout cardboard box which is simplistic to the maximum and has no flashy illustrations like the traditional brands such as Linksys or Netgear. 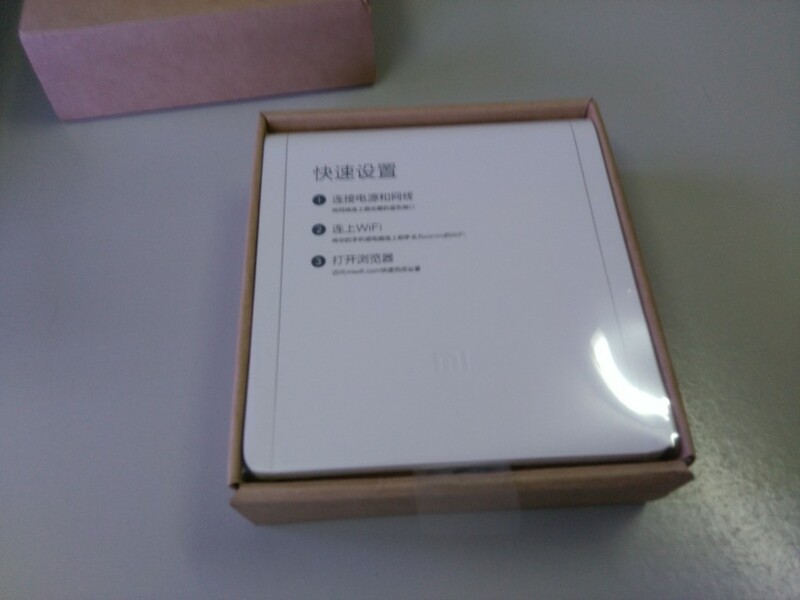 On the back of the outer cardboard cover, is a sticker that mentions the specs and other details, albeit in Chinese. Sliding out the outer cover reveals a box with the router. Taking the router out of the box, we see another flap that covers the box’s floor. Removing the flap away reveals a power adapter and a quick start guide in Chinese. The router is observed from top and bottom. The router has a very pretty and minimalistic design that is usually associated with Apple products. It is also very small and slim in size. After removing the plastic film, it is seen that the antennas are rotatable. On the hindside, we can see there is (from left to right) a USB 2.0 port, two 100 Mbps LAN ports, one 100 Mbps WAN port and a DC 12V power port. Here’s a close-up view of the power adapter and the user manual. Now that the router has been unboxed, we carry on to setting it up. The Ethernet cable coming from the ISP’s end is connected to the blue WAN port, and my PC is connected to one on the LAN ports. The power adapter’s DC end is connected to the router’s power port. The router turns on immediately and the status light flashes. My PC automatically obtains an IP address in the 192.168.31.x subnet via DHCP, and shows the default gateway to be 192.168.31.1. This (obviously!) states the LAN IP address of the router is 192.168.31.1. Opening http://192.168.31.1/ on the browser takes you to the router’s webpage. 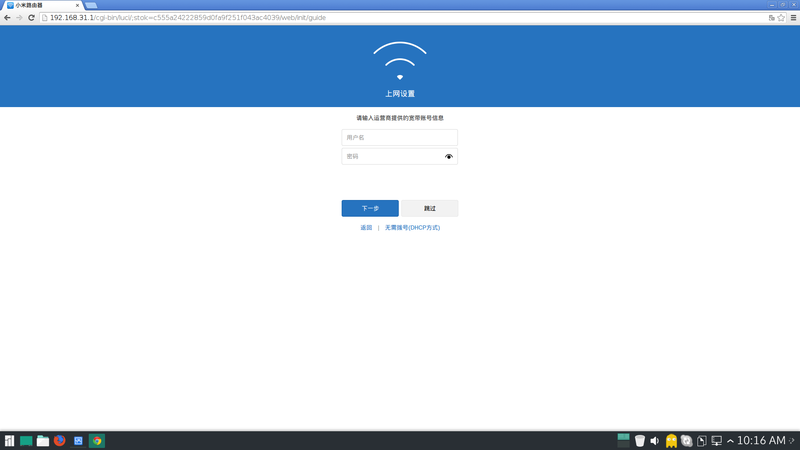 At this point, a first time setup screen is shown, entirely in Chinese. For a non-Chinese user it might be a hurdle at the start but I’ll try to guide a little bit to set it up till one can use Google Translate. I guessed the checkbox to be the option to “Accept end-user terms and license”. So I checked it and clicked the blue button. The next screen asks for the PPPoE login details, you may either input it or click the link that says DHCP if you want to ignore it. After that, the screen that appears asks you to set a name for your WiFi access point and the access password. Fill in the details and click the blue button. The next page will show a QR code to download the Mi WiFi Android app for your phone. You can choose to close it. The next page will be the login page. 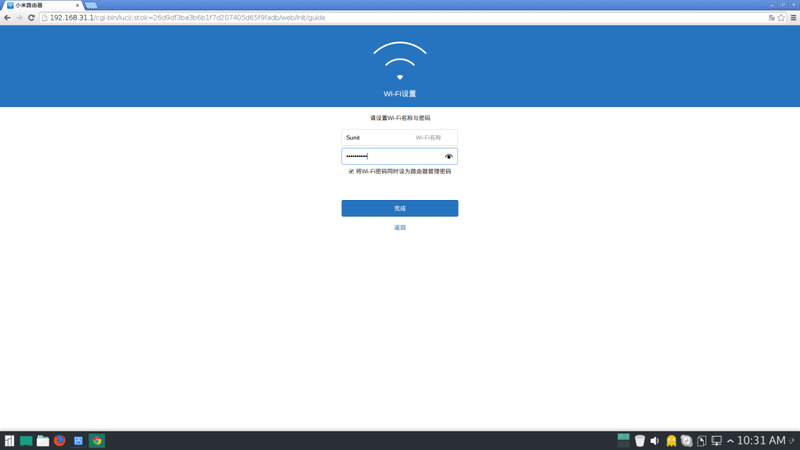 Login with the same password you set for the WiFi AP and you will be greeted with the home screen that will show connection details like WAN speed, connected devices and the like. If you are able to access the internet successfully, you can use Google Translate from now onwards to get the router control panel settings in English. If you still aren’t able to access the internet, click the second tab on the top, then click the WAN (globe) icon, then in the first section, click the first button. Choose from either the PPPoE, DHCP or static IP tabs, fill in your details and click the blue button. When everything is successful, you will be able to browse the internet. You can edit the WiFi settings by clicking on the WiFi icon, and you will be able to configure the 2.4 GHz and 5 GHz networks separately, choose individual channels and transmission power. Once you are properly connected to the internet, the rest of the settings can be viewed with Chrome browser and Google Translate. This thread in Xiaomi forums shows how the interface looks like when translated to English. You can also use the English language Android app or PC app to control the router. The web interface is very well-designed and properly thought out, and looks very different from the clumsy web interfaces of most home gateway routers. Not only does it look good, but also the controls are very easy to navigate and jumping between hoops isn’t needed. 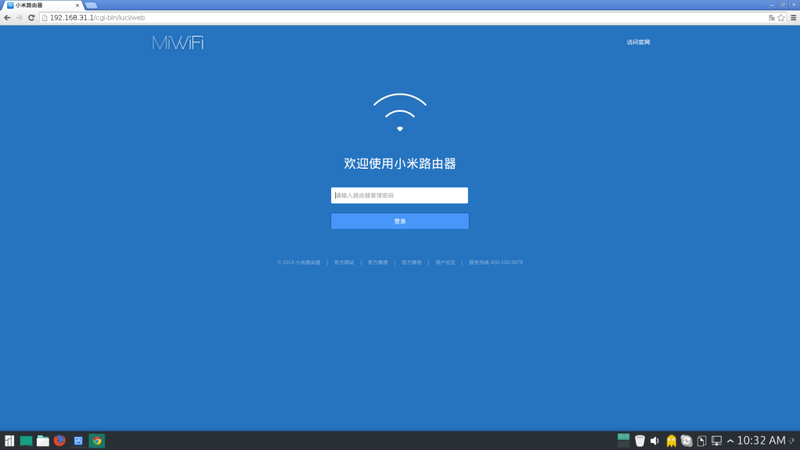 Even though the entire interface is in Chinese, I didn’t have any problem exploring the options. Surprisingly, all guesses I made about the controls turned out to be correct. On logging into the web interface, there’s a home screen that shows the uptime in number of hours, the current WAN transfer rate, and the number of hosts connected to the router. Clicking on the second tab takes you to the router settings. By default, you land on the info page, which displays the firmware version, option to update firmware and to factory reset the router. Clicking the WiFi icon takes you to the WiFi settings where you can configure the WiFi networks separately. Clicking the WAN icon allows you to set WAN IP settings, MAC address spoofing and the ability to use the router as a gateway or a wireless repeater. Clicking the Security icon allows you to enable wireless access control or to change the router web interface password. Clicking on the LAN icon allows you to set the DHCP server settings and LAN IP address of the router. Clicking on the Settings icon shows up a variety of options like QoS, uPnP/port forwarding, DHCP IP reservations, dynamic DNS, DMZ and PPTP/L2TP VPN like you’d see on any other wireless router. The options are pretty much exhaustive for a home user. The LAN is a pretty much standard 100 Mbps Ethernet. I could browse the web and view videos effortlessly and even transfer files. I think it’d have made much more of a sense for Xiaomi to put in Gigabit Ethernet ports instead, but for such a low price the idea sounds farfetched in which you won’t even find a decent wireless-N router, let alone a Gigabit one. Xiaomi seems to have done a heavy cost-cutting with this one to fit the lower price bracket. We’ll come to this issue shortly. The wireless LAN is pretty fantastic so far in both the 2.4 GHz and 5 GHz bands as far as range is concerned. Even with “standard” power setting, I get a strong signal even when I’m 3 storeys down to the parking lot (that’s considering the number of walls the signal has to pass through). With the power setting set to “max”, it puts every other access point I have to shame including the 5 times more expensive Cisco Linksys X3500 (that I have) and the Linksys WRT-610N (that my dad has). I’m sure that with this router you will not have wireless connectivity related issues even if you live in a big mansion. You can also attach hard drives and other storage devices to its USB port and use as networked storage. I wanted to test the data transfer rate over the router. 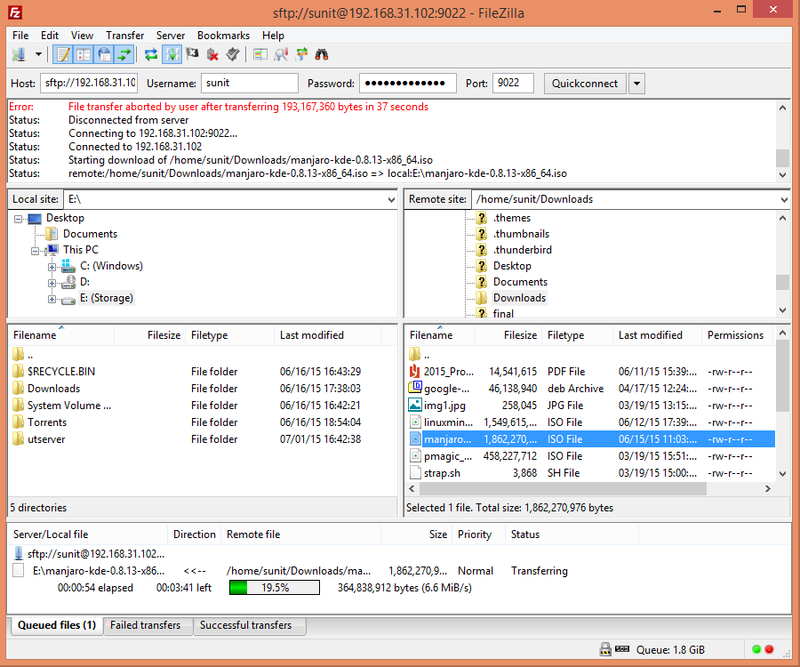 To emulate real file transfer across the wireless LAN, I configured one computer as an SFTP server and stored some massive files there. I then connected to that computer from another one via FileZilla and tried to download and upload some files. The test results are below. Note that I do not have a wireless-AC adapter on any of my PCs. So I tried to make-do with a wireless-N 300 Mbps adapter and see how far the router manages to live up to atleast the N speeds. I found the result of the tests to be very typical of a wireless network. When two adapters share a 300 Mbps channel, each gets a throughput of <50% because of channel contention, noise and other terminal issues that plague wireless connections. So the throughput among two wireless hosts is around 6.6 MB/sec or 52.8 Mbps. Compare this to my Linksys X3500, which gives a marginally better throughput of 8.1 MB/sec or 64.8 Mbps on wireless to wireless connectivity. When more wireless hosts are added, they contend for the channel more, making transfer rates even slower. 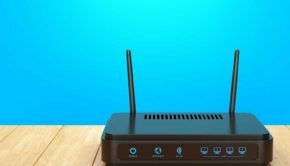 However, when a single wireless host is connected to the router, the channel is no longer shared and the host can potentially download/upload to a wired host at near line speeds. But the presence of 100 Mbps Ethernet instead of 1 Gbps, shows how a small decision to cut costs can affect peak performance in a great way. This is where the 100 Mbps link becomes a bummer. While the wireless host can exchange data at 200+ Mbps speeds, the presence of 100 Mbps link on the wired side caps the transfer rate to 10.9 MB/sec (87.2 Mbps). Wired to wired speeds is only marginally faster than wireless to wired speeds (because wire is more reliable than wireless), giving 11.3 MB/sec (90.4 Mbps) which is almost line speed of 100 Mbps. This is the maximum speed one is ever going to achieve while accessing the internet with this router, because the WAN port is a 100 Mbps link as well. Wireless-AC to wireless-AC transfer might be faster than all the test cases I have performed, but I don’t have a wireless-AC hardware to confirm it. If we estimate the throughput keeping losses and interference in picture, then on the basis of previous tests, a practical wireless-AC to wireless-AC transfer will not achieve more than 267 Mbps. Such is the beauty of wireless. 867 Mbps on the 5GHz channel is only a theoretical maximum. A wireless-AC to a wired connection can achieve 500+ Mbps but the router has a hardware limit of 100 Mbps on wired. Gigabit Ethernet ports begin to make much more sense now. Wired is always best for bandwidth heavy devices. Xiaomi has clearly done this move to make the router more affordable, but at the same time left a big handicap on an otherwise exceptional device. But at the price at which this router is sold, one cannot really complain. Moreover, for everyday users, 267 Mbps on wireless is just fine for streaming full HD content to TVs from media servers or wireless Blu-Ray players. Neither do most internet users have a connection faster than 100 Mbps. 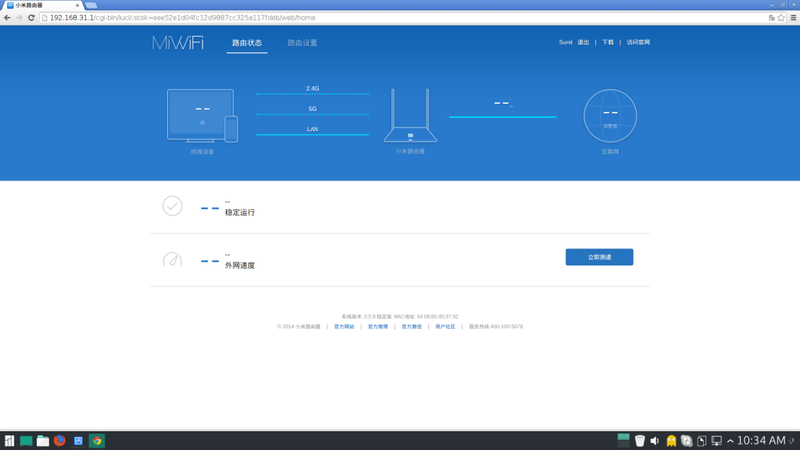 Xiaomi also provides regular firmware updates for the router, keeping the features updated and fixing known bugs. The router also has own share of flaws. When it is set to act as a wireless repeater, one doesn’t get full-AC bandwidth on wireless connectivity. Also, there is no option to enable/disable the NAT or edit routing tables. This means that one cannot use it for advanced routing or protocols like BGP, RIP or OSPF (dynamic routing). This can be solved by flashing OpenWRT by PandoraBox on the router, the details of which are beyond the scope of this review, but you can read this guide to achieve it. Also, a noticeable missing feature is the guest wireless network. 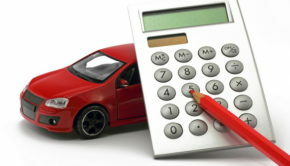 For most home users, however, the drawbacks will not be a matter of concern. Full-fledged home gateway capabilities like QoS, NAT, port forwarding, SPI firewall, etc. The Xiaomi Mi Wi-Fi Mini Router is available for $30 on Gearbest, which is pretty much a steal deal for this router. Click this link to buy it. The Xiaomi Mi Wi-Fi Router Mini is definitely the best router in its price segment. It is ridiculously cheap, brings with it great features and stability and outperforms many other expensive ones. The drawbacks will not concern most home users and the Chinese-only language issue can be solved by using Google Translate. I am only hoping that they release this device worldwide so that we get an English firmware. Also, regular firmware updates will ensure that the device remains future proof for atleast a few more years. You will be surprised at how such cheap a device performs so well. At the price of peanuts, this product will never cease to amaze you. It’s sad that one has to use Google translate to translate the Wi-Fi settings pages. 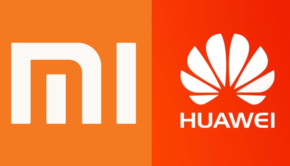 If Mi is selling their product in India, they should have the content translated. Its NOT being sold in India. Its only officially sold in China, Asia Pacific and the far east. That is one In-Depth Review! Literally! It’s clear that the router will not hit the Global market as of now. The language being stuck in Chinese and all. Anyway, Loved every part of the review! Satisfied my YouTube part and also my Geeky part! Nicely done! The WiFi range cannot be specifically measured in metres. It depends on the number of walls the signal has to pass through and other issues. But I can say that, it gives a far better range than most other wireless access points. The product sells for $30 on Gearbest. I have got my product from there. The link to buy it is right in the article. Where is this set? Quoted from the article. Its in the WiFi settings section. The one with the radiating waves. There is a power setting section. Depending upon what version of Chrome you use, Google Translate shows it as “wall” or “max”. Can you please confirm that you can use 3G dongle on this router. Yes, you can use a 3G modem with this router. But before that, I’d suggest you to update the firmware to the latest one on Xiaomi’s site and use the latest English Android app for the best experience. Can you provide me with links for the firmware & for Android App please? 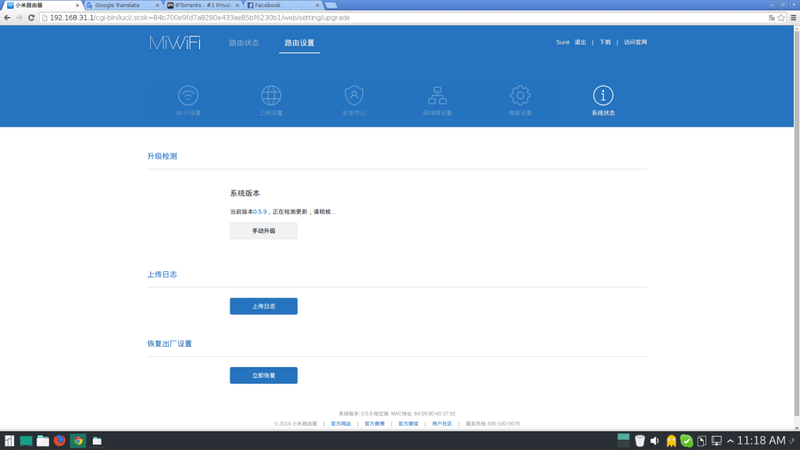 have you tried connecting 3g dongle to mi wifi router and can access internet over mi wifi? I tried with huawei 3g dongle, its not working, please help me. Can I use this router instead of my Umax (wireless router not land line) to receive internet from IPS tower? I mean if I can put my user name & password which ISP provides me with in this router? You mean your ISP side is WiFi? Well, its router but it isn’t a WiMax modem. You will need a separate WiMax modem. Can you mention the USB data transfer speed ? I have only tested with a Transcend 8 GB USB flash drive. The read speed is like 11 MB/sec and write like 4 MB/sec. I don’t have a free HDD lying around to test so I cannot confirm if it can go faster or not. Hi, great detailed article. I have placed the order at GB, how long did it take to deliver on the free shipping option? It depends on the customs actually. If the paperwork is clear, it will fly through in a week or less. Else it can be stuck till 4 weeks till they evaluate the price of the item. Thanks for the response, how long did it take for you? It took 3 weeks for me. I live in Assam, so that could be the case. If you live in a metro, it might be faster. THe GB people seem really slack, its been 4 days since I ordered the router, the status still says ‘Processing’, I really hope it gets shipped. Well, in my case, the package was shipped within a day and it reached New Delhi in 3 more days. After that it was stuck at Kolkata customs office for quite some time (2 weeks) before being delivered at home. Did they(custom authorities/post office) make you pay any additional custom duty ? And do you remember your shipping agent, was it China post ? Yes, you are right, it was shipped by China Post. And no, I did not have to pay any customs duty. I have a connection problem and may be you can help please. I have well configured everything in addition of connecting all cables properly. However i miss one essential point: I do not have access to the internet:I want to use it as an extender and the signal from my home router to the miwifi mini is in colour YELLOW while the color between the miwifi and the devices is BLUE and says excellent (with “0” data transfer). CAn you help Aplease to fix this please. Is the Mini connected to your main router with a LAN cable or via Wi-Fi? Sorry for responding a bit late as i was travelling. In that case, don’t use the wireless repeater mode. 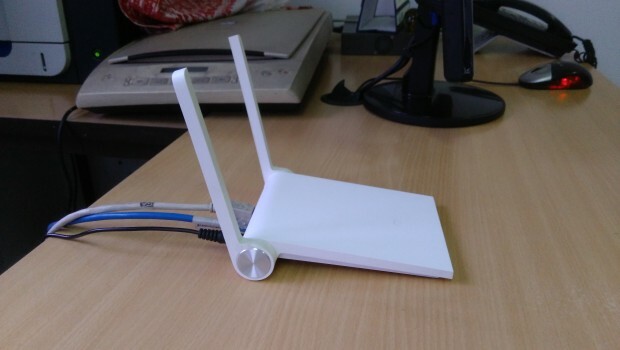 Set it up as an ordinary access point, make the WAN connection a DHCP client and plug the Mini onto the router with a cable. Alternately set the Mini to work in bridge mode. Sorry for the delay. As i am not expert, i tried to switch back to access point but it did not allow me. In between, i had to rest and to reconfigure again. I am just on my way doing it now only . 192.168.31.1 is the Mini’s default IP address. Otherwise you can just open network details and check your default gateway. sir , i play counter strike GO online , so i have some doubts ? 1.> Can it provide low var value on the server , i mean low ping and lag free gaming experience over wifi ? (Important) 2.>Can i use usb port and wan port together at the same time ? i meant i want to use my External hard disk to create as a local home server and wifi internet at the same time ? can i do it with this one . If i use USB modem, it can work with CDMA and GSM ? I cannot confirm if it works with a USB modem as a I presently don’t have one. 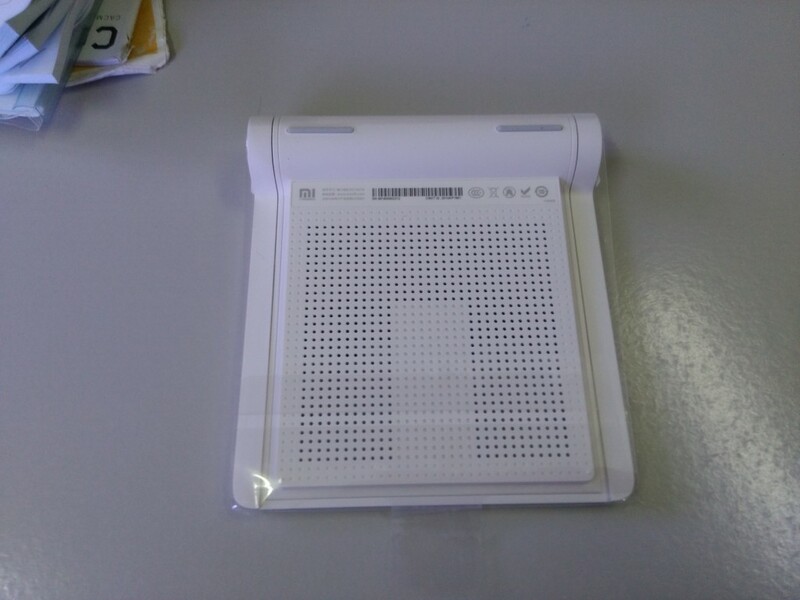 sir i have booked this mini router on aliexpress.com for rs 1400 and it will be coming any day soon . I will need your help to configure my USB port for hard disk and wan port for my Tikona connection very soon . As i wanted both thing at the same time to work (usb port and wann port) , i will require your help . i required my mini router to work as a cloud and hard disk to work as a local home server so that i can watch movies through wifi from my hard disk . US$29.99 with free shipping, in English, and Guest network too. Looks like Gigabit too. Its the same as I mentioned. The English language must be a patch (like what I mentioned in the article) and this is definitely not the gigabit version. 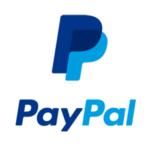 I am planning to order from aliexpress or gearbest. How much custom you have paid for this? 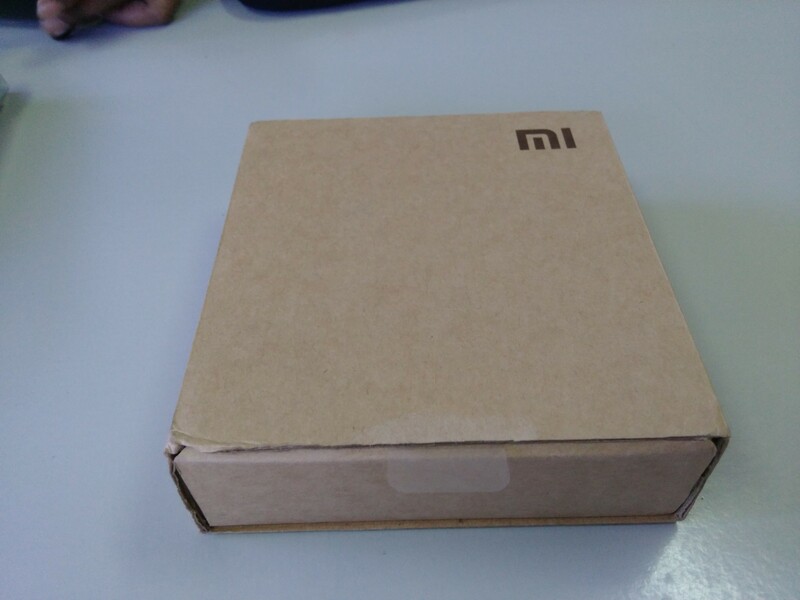 I ordered from Gearbest with EMS/Speedpost shipping. I didn’t have to pay customs duty because the assessable value of the product was less than $20. I am planning to order from China Warehouse. What will be customs duty from China since order now costs $29. I bought it when the cost was $35. It didn’t cost me anything in customs because the shipping cost itself was $15 out of that. A few comments on this. I own one. First, I got the “english patched” firmware. If you upgrade the firmware for any reason, like using the automatic update checker, you will revert to Chinese. Then you will never find your way out. There is no way to change it back once you lose the English. Second, it runs OpenWRT using PandoraBox fork of OpenWRT with closed source drivers. Third, the onboard radio is quite good. I get 5ghz in corners of my house than my old router didn’t penetrate. For regulatory options, it will so anything legal in HK, CN, or TW. You just have to pick the region you’re in. Fourth, the processor is a bit anemic. I use it as a VPN client and on a 5mbit link it’s at 100% CPU usage with one client connected. The USB port is slick. You can attach a hard disk and have an in-house NAT if you want. The lack of a gig ethernet port confuses me. It seems really like it’s intended for situations where you are using it for intranet file sharing, not INTERnet on anything more than a 50mbit connection. So I would dump the firmware, follow the guides for adding OpenWRT PandoraBox and then going from there to get a full-featured router. If you need a network extender or repeater, this is a great device for it. Thanks a lot for your comments clarifying the whole situation. I personally own one unit that has no English language support from the start. And some people have mentioned the availability of English firmware. So this will clear every doubt. I agree with the fact that the radio is pretty good on this model. And I also do agree that the lack of a Gigabit port is a concern. I haven’t had the opportunity to try out the VPN yet, so I’ll give the benefit of doubt to you. Regarding PandoraBox, it requires getting the developer version of the stock ROM and then flashing the PandoraBox firmware over SSH. The thing that concerns me here is there are several guides that tell how to flash PandoraBox but not how to go back to stock. Please do keep us updated with your ventures. Do you know how to unbrick this. I myself haven’t got the opportunity to unbrick it. Maybe you should try asking on the Xiaomi forums. Place firmware on USB and follow instructions for flasing router via USB. Its preaty easy. What an in-depth and useful review, thank you! It’s such a shame this isn’t being sold in Europe but hopefully that will change soon. My miwifi mini worked fine with your guidelines and i thank you for that so much. However, suddenly after some weeks of good work, it now “refuses” to connect through 192.168.31.1 and no access to wifi. Tried to reset and again, can not access the router anymore for setting it up. Any ideas sir? Manually set your computer’s IP address to 192.168.31.2 and try to hook it up via wire. Can you mention about power settings, sorry but i didnot find power settings as mentioned in article as MAX. Google translate calls it “Wall” mode. God knows why. how to shutdown the device with properly ? You just turn off the power. Sir i got my MINI WIFI router but it is not opening as you said , i have tried 192.168.31.1 and also tried miwifi.com but it is saying no connection . Sir i have also tried the application on the mobile (i.e Mi Router) but when i started the app to set up new router , it is saying ” no new and unpaired router found ” . Sir please help and tell me what to do ? Try to do a reset by pushing in a paper clip into the reset hole. sir i have asked the seller and he told me that he have rooted the modem with English firmware and the login ip is now 192.168.1.1 . Sir now i want to ask some question . 1.> Does both 2.5 ghz and 5 ghz wifi will produce together ? 2.> How to use usp port , i dont know anything about it . ? 1. 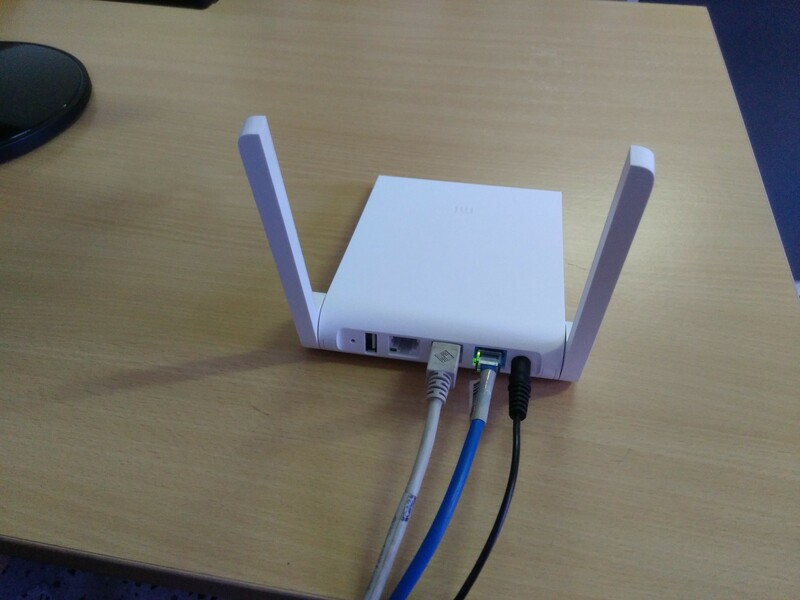 Yes, its a simultaneous dual-band router. 2. It needs the Android app and you need to plug the device into the USB port. 3. Connect the old router simultaneously and check which has the farthest range. 1.>Sir , i have downloaded the mobile application , plz can u help me with step by step instruction for the usp port application ? 2.> Without app it will not work ? that mean directly configuring from 192.169.1.1 ? Excellent review. I have one of these. But after initial setup and setting the user password, it keeps asking for a WAP2 password. Can you please help? WPA2 password on the phone or laptop you mean? Thanks Sunit for your very well written review on Xiomi Mi. 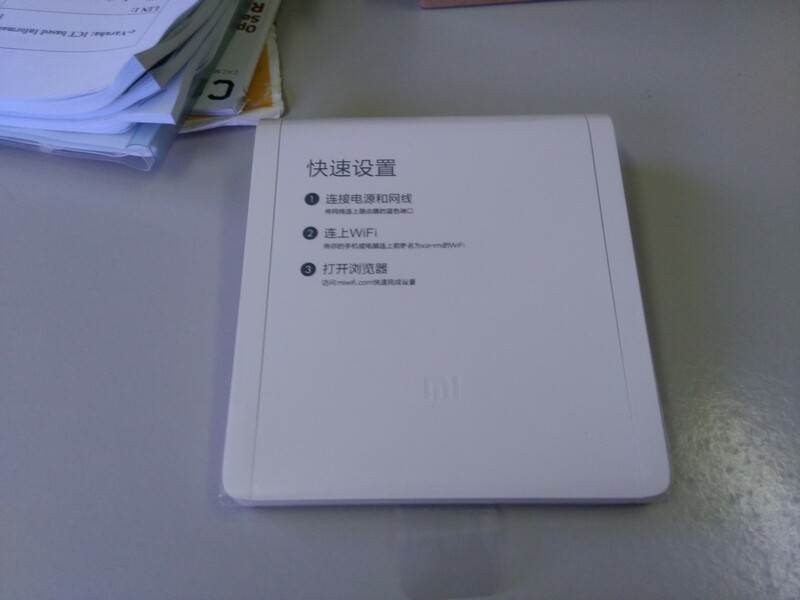 Will you be doing a review on Xiami New Mi WIFI router 802.11ac Broadcom 4709C? Can these router be used on ADSL2 telephone lines or separate modem is required. I’ll review it if I am able to get my hands on it or if someone sends it to me to review. It doesn’t sell in my country so the only way is to either find a reseller or import it. That being said, the chances for getting to review it is low. 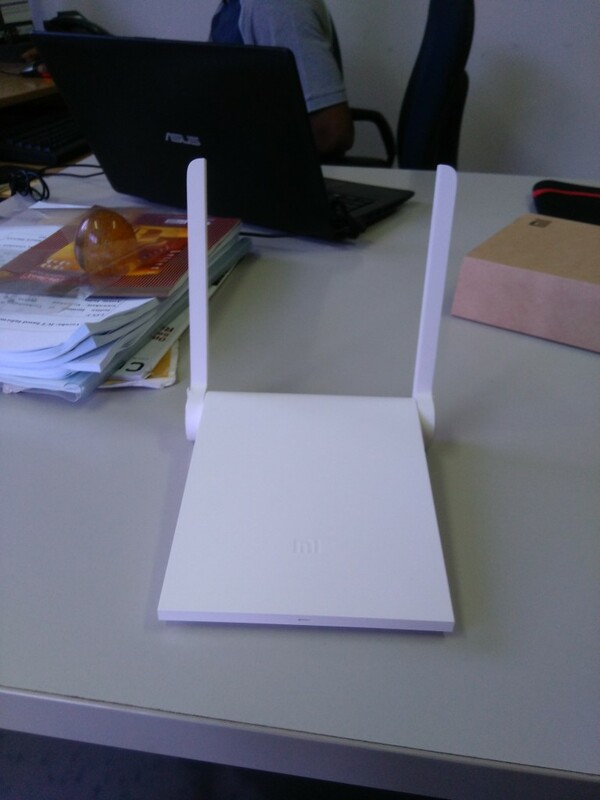 The Xiaomi New Mi WIFI router 802.11ac Broadcom 4709C is not an ADSL2/2+ modem. You will need a separate modem. Today i have a proposed router T&W VDSL2 4-Port Switch Router that can handle 40 Mega. I would need to connect it via wire to the Siemens and it will be configured as a bridge. 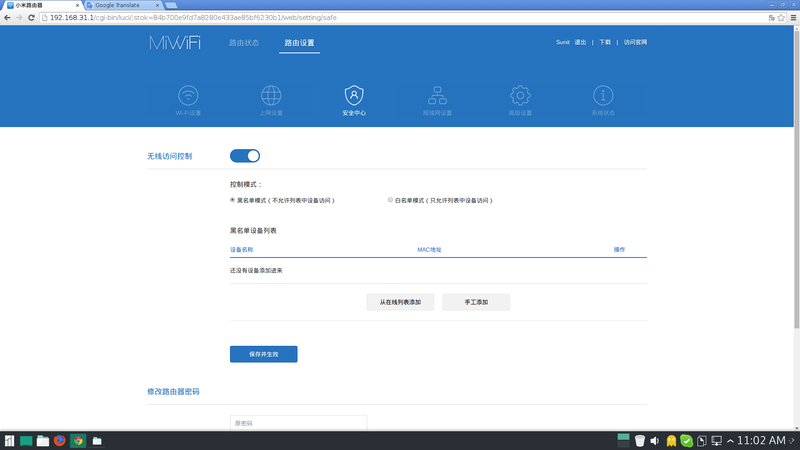 So answering your question:Yes i want to connect the Xiaomi Mi Router to the Siemens via wire -but the xiaomi should be configured somehow as a bridge. Do you think it is possible please? My question is that, you want to use the Xiaomi router just for WiFi and connect it to the Siemens one via wire? 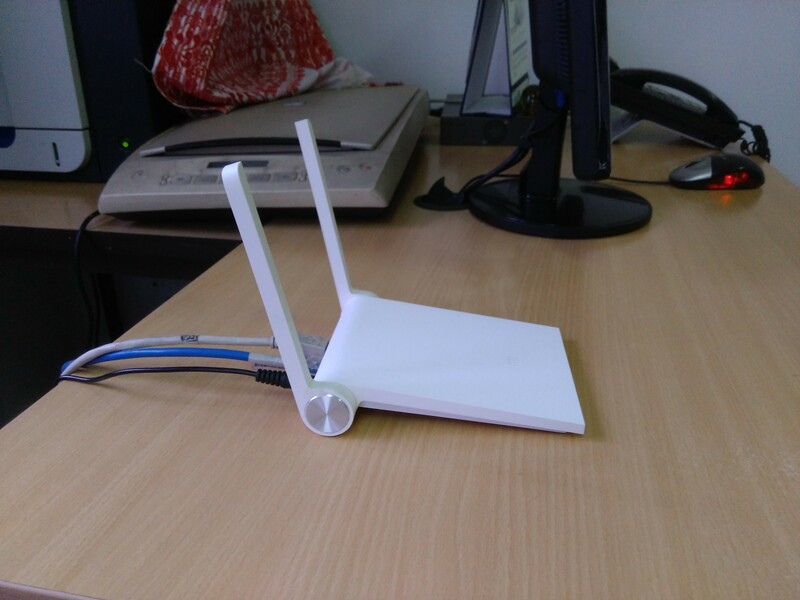 The MiWifi can be used as a bridge, but looking at your use case, you wish to access internet over VDSL2. And MiWifi is just a router, not a VDSL2 modem. The MiWifi can be used as a router for your existing modem, but it cannot itself act as a modem. 1. Siemens < --> T&W. The second case is applicable if the T&W has WiFi and you wish to use the Siemens in another room (i.e., using MiWifi as a wireless repeater/bridge). If you plan on using it as a wired bridge, then it is pretty much useless; you can connect it to the T&W directly. Is this the T&W you were talking about? Hi Sunit, is it possible to attach a printer to the usb port and use it as a network printer then? Thank you Sunit I enjoyed reading your review. 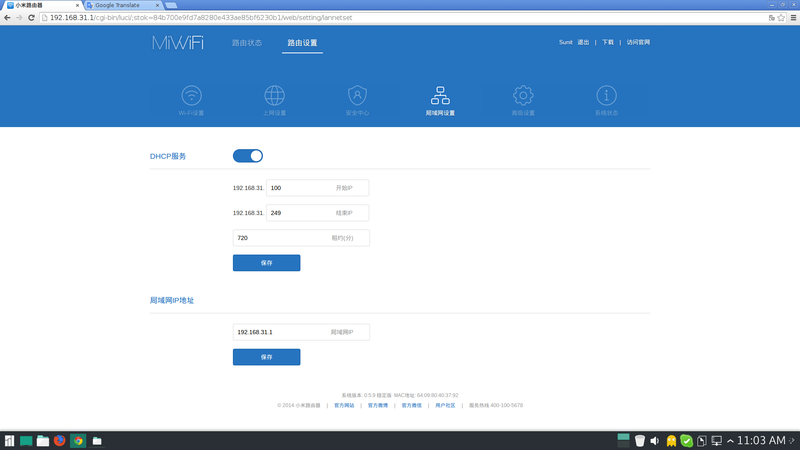 I read that this Mi router also support VPN client. So, can you give further information. How does it work, Does PIA vpn for example support it, or make a video or something. Yes, it does support PPTP and L2TP VPN. 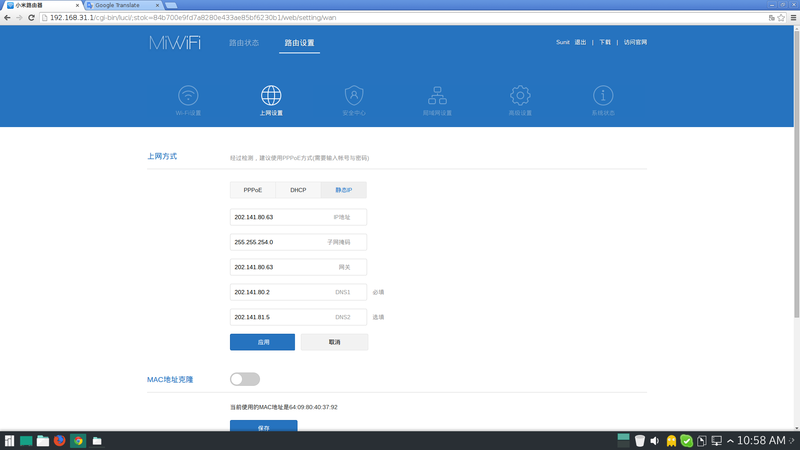 You need to get the manual settings for PPTP or L2TP from PIA and type them in the router’s web interface and connect from there. My friend does the same with his Mi router and it works very well. Is it possible to set-up WPA-2 Enterprise security on this router ? No, WPA-2 Enterprise security is not yet implemented in this router. hi sunit, can i use this router as repeater with wifi support not LAN?? Yes. You need to choose wireless repeater mode for that option. This router have the posibility to use with bridge mode ? Yes, wireless bridge mode is possible. 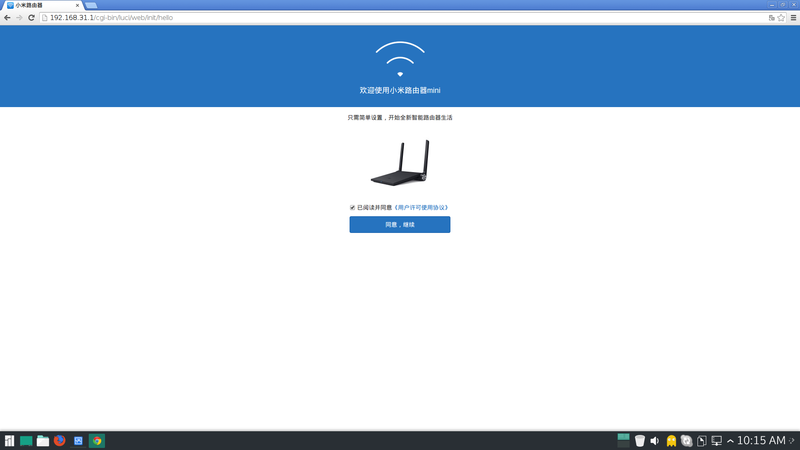 does the xiaomi wifi router supports Windows 10? I heard that the router does not support Windows 10 and thus cannot connect to wifi. The Operating System on your PC is irrelevant. You can configure the basics using just a web browser. As such, I think the results are invalid. I think, for sub-gigabit speeds, SFTP has no real speed issues, given that both the server and client being tested in question are high-powered PCs. The real question is, how come on the wireline, they tests max out the line speed? One question and i hope that i will get a answer. Can i use this router in a way that when multiple users are on wifi i can limit a max speeds per user and other similar options? Thanks in advance! Yes, this router supports QoS. So you can limit speeds per user or per application. 2 How we can get the SSH connection to the device. I have tried the steps in Website ; but failed. Can you please help and guide me how to connect via ssh. Are you referring to wireless repeater mode? Then yes. In your wired tests – was the ~90Mbos wired speed tested between two LAN ports, or WAN->LAN? I’ve tested both the internal and external. Speedtest.net tests are internet tests. So the servers used for these tests are not directly connected to your router. There are a lot of other factors that influence speeds, and your 30 Mbps throughput has to do something with your ISP/network and not your router. Coming to getting 60 Mbps with internal ports, are you using Windows? From my experience Windows reserves like 20-30% of the bandwidth for itself and for Windows updates, so unless you tweak the value in registry, you can’t get full speeds. I have tested sped both with P2P (multiple connections), and my ISP site. I am getting ~95M in both cases when My PC is connected directly to the cable modem (as you can see in here: http://www.imagebam.com/image/c10202464728470 ). I suspect that it has to do with some bug in the new English version I upgraded to (2.8.91), since I think I remember higher rates before (not sure) . I think I’ve seen a user also reporting so in the Internet. I was hoping you can test that (and confirm or not). Maybe it is a defective unit here. I hesitate to revert back to to version 2.2.100 , since I am not sure I can manage w/o English. Could be. I’ve not upgraded to an English version. Still on a Chinese version. 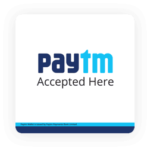 Where to download PADAVAN Firmware? how can i install padavan firmware? Yes, you can make it act like a wireless-to-wireless repeater. You just need to connect to it via wifi for the first time to configure it. how to configure 802.11ac protocol and on which page? I can see it is by default configured 802.11n which provides max of 300MB. 802.11ac is enabled by default. It is on the 5GHz band, so you’ll need to change the 5GHz channel to within 38 to 40 for EU-regulation devices to be able to use it. hey…how do I manually configure the channel? One room in my house gets absolutely no signal and I suspect its because of the neighbour’s router being too close. Is there a way for me to manually switch the channels? Yes, you can change the channel in WiFi settings. Click the wave icon. maybe you know if there is a possibility to turn off external hdd at nights, because it buzz driving me crazy? I think hard disks spin down automatically when not being accessed. It has now got an English interface. You can change it from ‘updates” system language option. 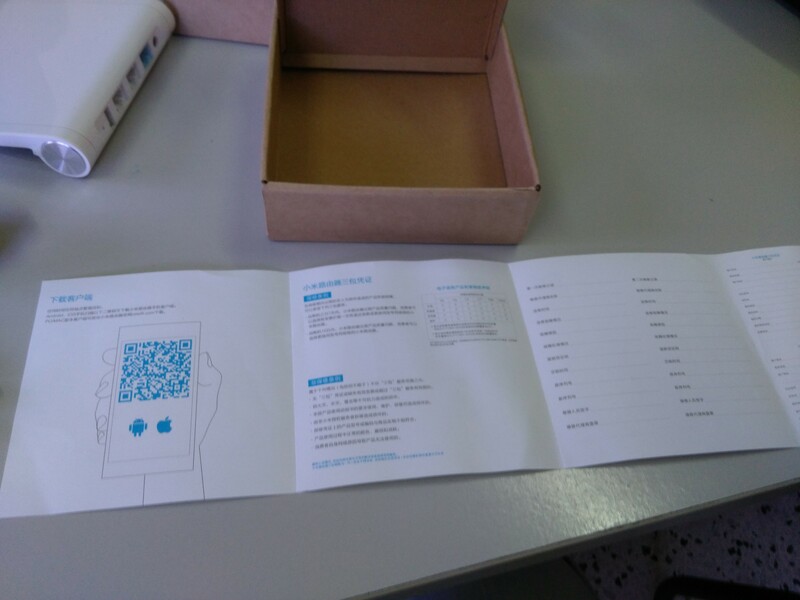 There is a device reset pinhole at the back side of the device. Press that with a straightened paperclip while it is booting up. Yes ! 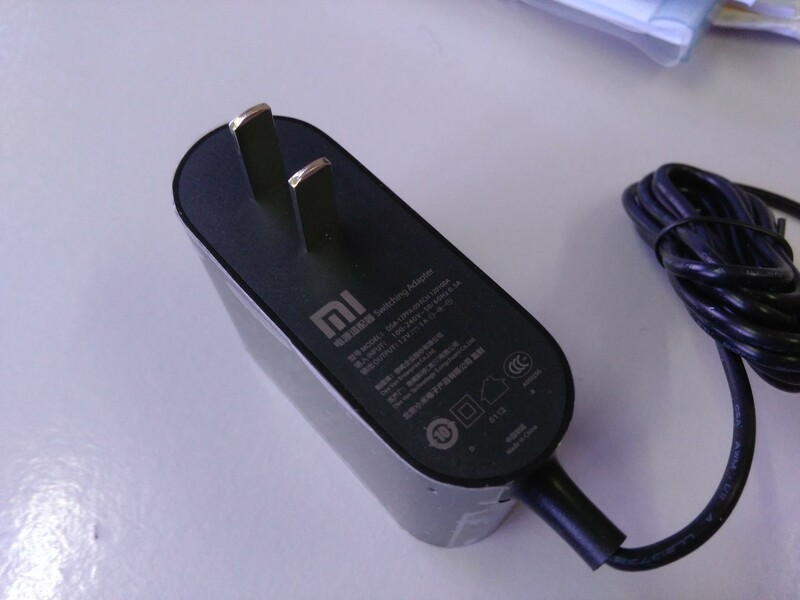 love to read your article about that Xiaomi Mi Wifi Review. Its intresting and i will love to use this for my home. I have purchased a Mi Wifi Mini router; all configuration is fine – internet is working good. But when i try to connect with mobile app MiWifi Router to see connected usb storage or other – i can’t connect. Application writes: can’t connect to mi account. 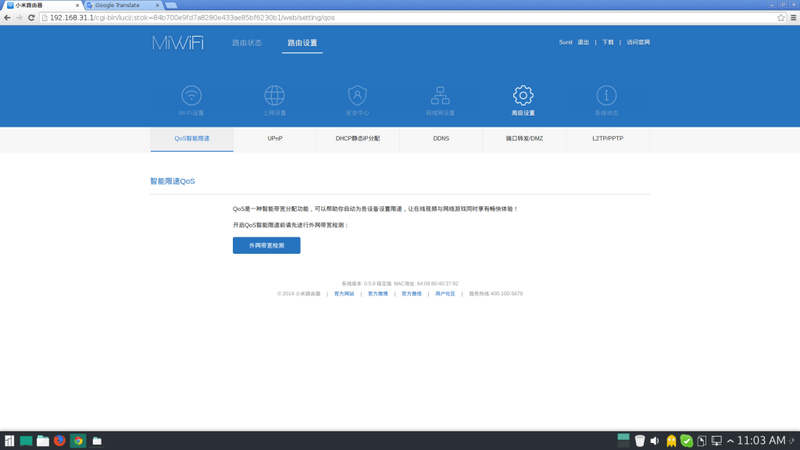 I double checked my mi account it is fine, also when i use GPRS and this app i can connect to my profile but then app asks me to connect to mi-wifi – and when i connect – no reaction. Could you please help me on this issue. Thank you. i don’t know if you still read this blog. i must say i bought this router after reading your review and it is an amazing router when compared to the likes of d-link, linksys and tp links that i have used in the past. my query is that when i’m away from home network i’m able to use my hard dive attached to router through mi wifi app on my android phone. i want to get the access to hard drive through my computer without app. if you can help with settings. You can change it in Settings. Click the large gear icon. I have an act 100 Mbps connection but when I connect it through the mi router the max speed is 20mbps. Is there some setting to increase this speed or is this the best this router can do? Are you accessing the internet over WiFi? Even i upgraded to latest ver also but nt working too. I tried openwrt but its little tricky cant able to do. Is there any other rom so i can directly flash . So is the firmware in English or not? And ill be using it for casting from my laptop and phone (MI3) so will it all be compatible? 1. 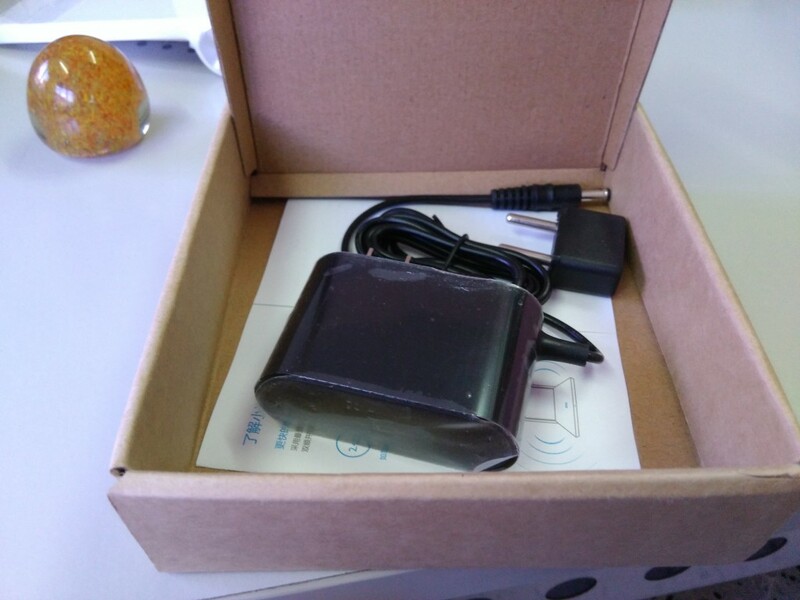 I have been reading around, and I’ve noticed that out of the box, the firmware is Chinese. You may flash an English firmware if it is available (I’m not sure 100% about that). 2. I don’t have one yet, so I can’t comment about the performance. 3. Yes, it will be compatible. Just get the Chromecast app. You can even use BubbleuPnP to stream to Chromecast. 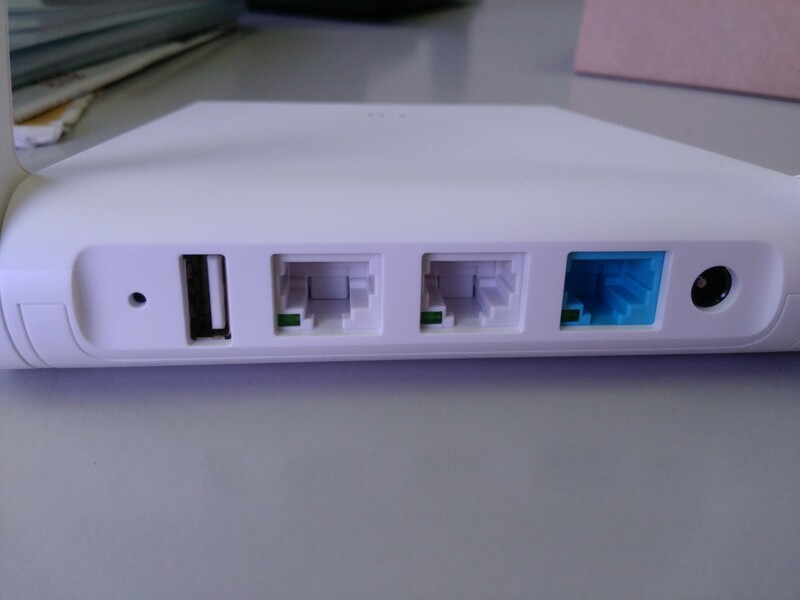 Hello guys, I used Mi Router Mini, but i don’t why there’s red light. I cannot connection to my phone or pc. Somebody knows about this? Thank you. Nice one for your article. I have 1 doubt. Initially, i bought Mi Wifi Mini Router, i just used that for a few day, but there’s red light Indicator. So, you have idea for this issue? much thankyou. I’ll be waiting your answer as soon as possible. Red light usually signifies that the configuration is incorrect. Are you able to browse the web even now? Hi …can u tell me how many system can we connect with this router at a time .This router is actually very good but i m facing a problem ..sometime my pc did not get any connection and after sometime it will automatically get connected.plz tell me the reason. I have the router but am not sure about one point. Can it be used as a modem as well, i.e. can I directly connect it to the phone jack outlet ? currently I have to keep my old modem/router so that I can connect the WAN into it. That’s a bummer since I was hoping to get rid of my old router. I just bought Mi wifi 3 from xiaomi store. 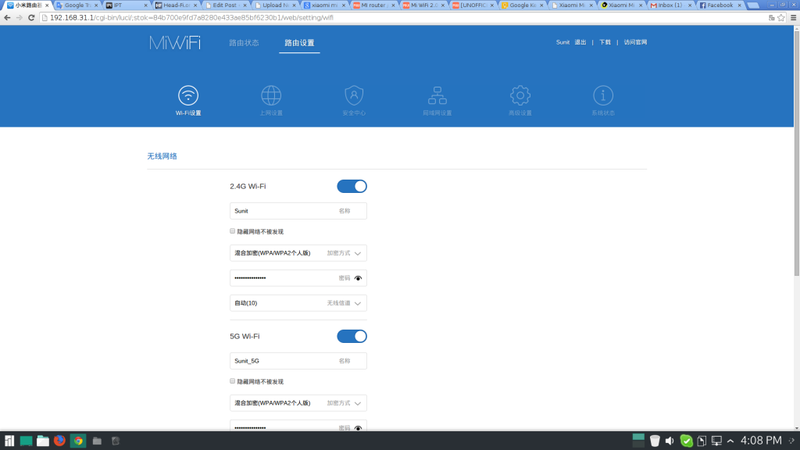 the working and web interface are basically the same as the Mi wifi mini. I want to use a WiMax dongle with it. But does it support this in its usb port? I am not being able to do this. Could you please help? Comment here are all dumb questions.